Hello Summer! The colors were so vibrant in Sedona! I particularly like these soft colors. They seem to work well with the photo collage. I was really excited to finally use that postal stamp. It's one of my favorites. For some reasons, postal stamps, arrows and tickets evoke traveling, destination to me...I love to pepper them on my pages whenever I can. They introduce a sense of movement and hopefully balance the very static grid of photos. Une page estivale! Les couleurs étaient si "pures" à Sedona, je crois que l'on aurait pu habiller cette mosaïque de plusieurs façons mais j'ai opté pour des teintes douces. Et puis vous voyez ce petit timbre avec l'aigle? Je le gardais sur ma table de découpe depuis plusieurs semaines. Je l'aime beaucoup et j'étais très contente de pouvoir enfin le placer. Timbres, tickets, flèches évoquent pour moi le voyage, la direction. Ils cassent aussi les angles droits et la monotonie d'une mosaïque chargée en photos. 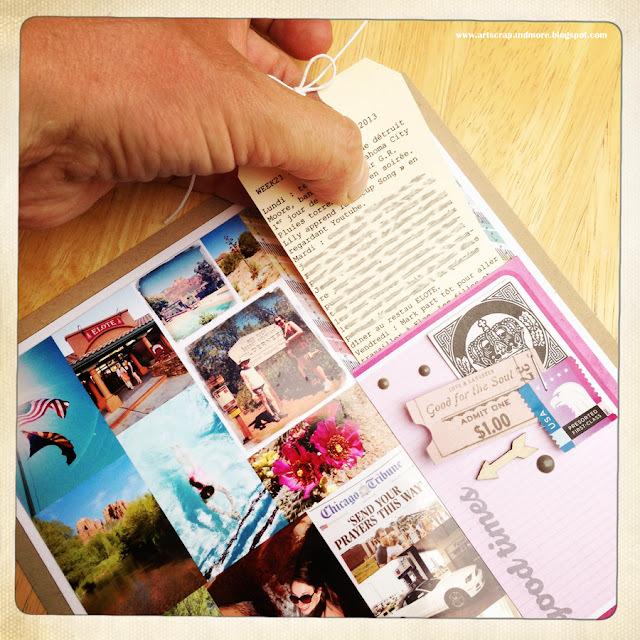 The journaling is printed on the tag which slides in and out of the pocket. Le texte est imprimé sur l'étiquette qui est ensuite glissée dans une poche. ... and since I'm sharing what has happened in our life, I'd like to share Lily's sweet obsession...the Cup Song! It's nothing new if you have a teenager at home but if you don't it comes from the movie "Pitch Perfect. Here is one of my favorite interpretations of it followed by a picture of Lily learning it. Thanks Youtube! Gros coup de coeur pour ce "petit mot" de ta petite Lily ! Your page is gorgeous!! LOVING the photo collage!!! On a vraiment l'impression d'être des dinosaures si on écoute les réflexions de nos enfants ! Trop sympa cette vidéo, effectivement l'entrainement est nécessaire.Bises. What a gorgeous PL page, Alex! So loving the pinks with your Sedona photos. 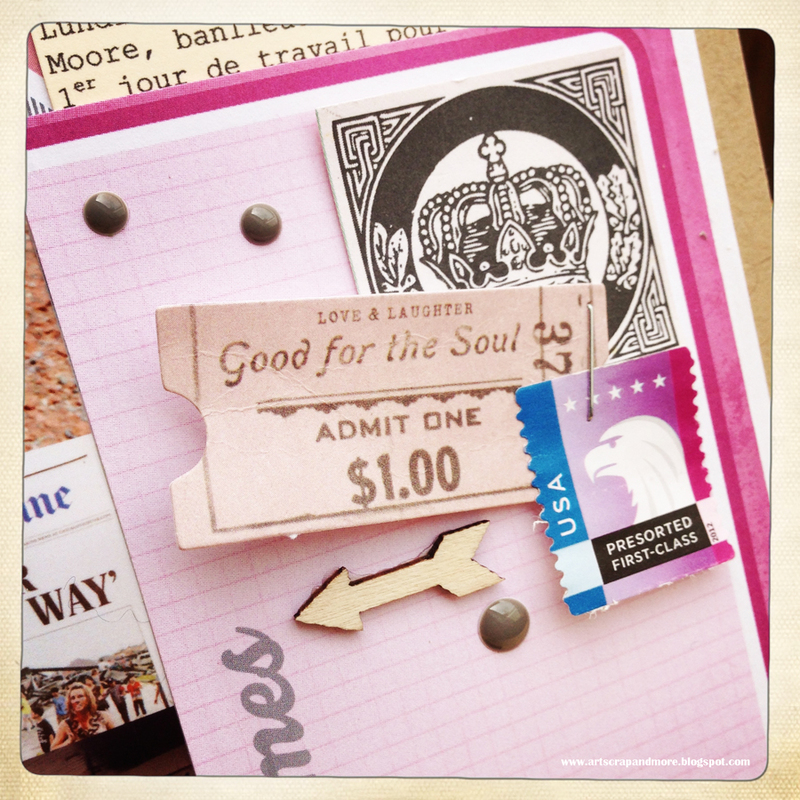 And I agree that the stamps, tickets, and arrows are so perfect for travel themes. Really fabulous! So bright and colorful! wow!! Lily looks totally absorbed...... I love the way you include arrows & ticket - they certainly do evoke a sense of movement & catch the eye. My eye was caught by the stripes in this layout - the way your pastel diagonal pattern echoes the stripes of the US flag & how the two sets of stripes form a frame for your whole design. Plus your stripes in the diving picture are echoed by the blue stripe on your stamp. une page qui enchante tant elle a un air de vacances ! !lol surtout en ce moment avec le temps en france!!! Mais en tous les cas elle est bien de son temps et appliquée quand elle aime !! What a gorgeous page! Love the colors! Great page! I totally get what you mean about arrows and stamps. Love that photo of Lily! LOVE your photos so much, especially the one with the bright blue sky!! I also love how you arranged the ticket stubs! The music video is SO cool (the percussion is amazing!)! Something this original and fabulous needs to be encouraged and shared! Thank you, my friend! Happy weekend! Oh, I've never seen that version. I totally see why she loves it so! My kiddos kept saying, "Again! Again!" LOL! And your layout is simply perfect! Really love the hidden journaling. I so need to get more of those perfect, little tags, and your clustering of elements is scrumptious! 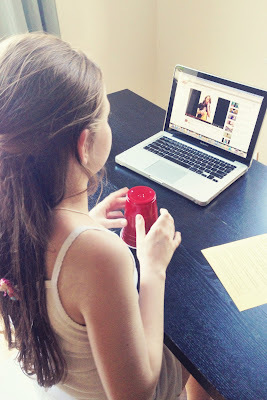 My 12 year old has mastered the cup song :) Kids here are crazy about it! Beautiful layout as always!! 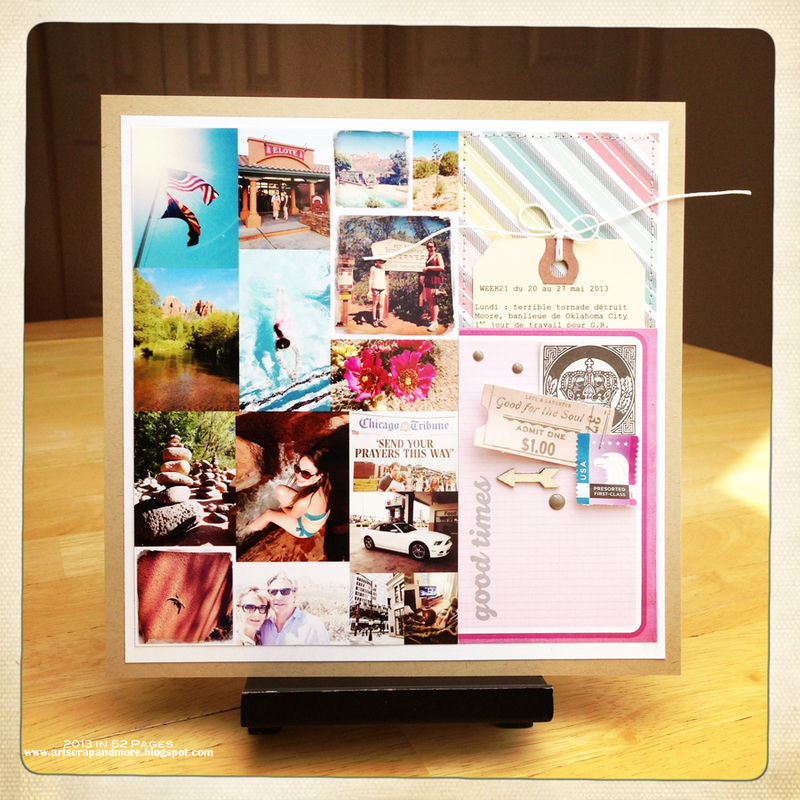 Love how you put things together for the Sedona page, Alexandra--beautiful striped paper & just the right amount of embellishments. Lily must be a fun kid. Have to admit--this is new to me--I'm really feeling old now! Oh j'ai loupé le post de cette merveille !! Ta page est extra ! J'adore les tons et l'harmonie qui s'en dégage ! Gros bisous Alexandra ! C'est jeune, toujours un mot pour rire!!! ;-) Comme d'hab, ta page est top! Bravo! J'aime beaucoup ce joli timbre! C'est chouette cette vidéo et oui, vive YouTube et internet!!! Mais comment faisions-nous avant????? Quand à ta page, bah... moi qui ait perdu mon inspiration, (depuis qqs jours) je trouve juste formidable tout ce que tu fais, en te renouvelant chaque, en testant de nouvelles choses (chez moi, ça foire toujours :S)... Bref! Ta page est SUBLIME!!!!!!!! !